What is a Gruit Beer? In short, Gruit Ales are beers that are brewed with botanicals and ingredients like Juniper, Bog Myrtle, etc. instead of hops. If you’re still thinking to yourself, “wtf is a Gruit Beer? !”, then check out this post! 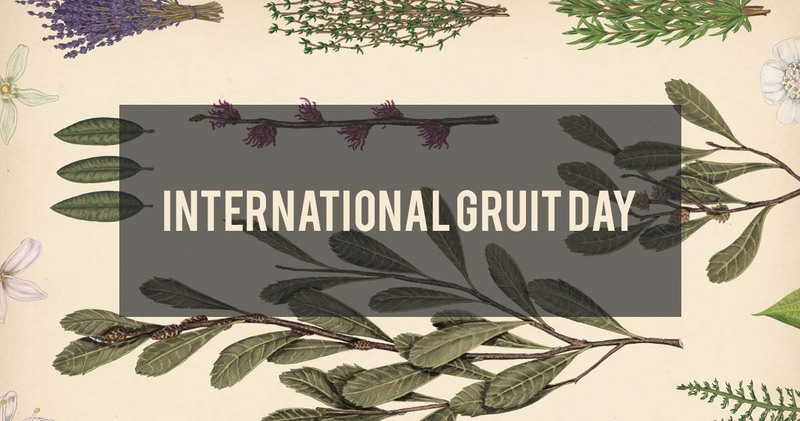 Since 2013, craft brewers with an interest in making gruit ales have banded together to mark February 1 as International Gruit Day. This day is intended to honour the historical tradition of brewing with botanicals. A Gruit-Style Ale brewed with rainbow peppercorn, juniper berries, clove, and coriander. Saturnalia Gruit is made without hops – using wild-crafted herbs and a little ‘magik’. Complex, fruity and herbaceous, this is a must-try beverage in a class by itself! First brewed in 2012 in support of the New Brunswick Highland Games Festival in Fredericton, N.B. Though the name may suggest an aggressive and assertive brew, this is an easy-drinking pale ale made with real Scottish Heather tips. Brewed in the depths of winter, this dark gruit is made with a mix of herbs and botanicals including spruce tips, birch bark, juniper, and lapsang souchong tea. With no hops added, this ancient gruit style has subtle notes of smoke and spruce balanced with a roasted malt body and earthy bitterness. Mörsugur is the name for the darkest part of the Norse calendar, just imagine foraging in a scandinavian forest then warming by the fire with this delicious gruit! This traditional Gruit beer was made with spruce tips, lavender, juniper berries and yarrow. This hazy, golden fruit ale has a heady mix of cloves, pineapple, and peaches, with spicy pepper notes and touches of tangerine. This beer is fizzy at the first sip but becomes smoother and creamier with every drink. Oops! Did we forget about your favourite Gruit Beer?! Sorry about that! Let us know and we will add it to this list! With 5 locations across Canada, this is not only one of the craft beer industries best promoters, CRAFT Beer Market is also an awesome restaurant with a great variety of craft beers and fresh local food.